ST. GEORGE — In February, Memory Matters Utah will be bringing back an annual tradition and introducing a new event as part of their continued efforts to support people suffering from Alzheimer’s disease and other forms of dementia. The organization will once again be selling daffodils, and for the first time, they will hold a chili cook-off on Feb. 9 on the lawn in front of Spilsbury Mortuary. Starting at the beginning of the month, Memory Matters Utah will be selling fresh-cut daffodils from Washington state during its “Daffodils by the Bunch” fundraising campaign to generate revenue in support of the organization’s mission to reduce isolation and increase wellness for individuals with dementia and their caregivers through activities, support, education and consultations. 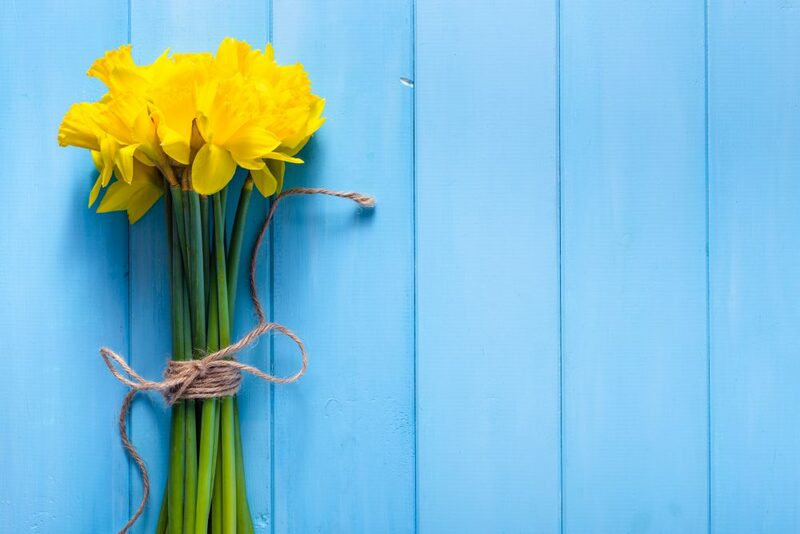 “When you participate in Daffodil by the Bunch, you aren’t simply buying flowers, you are funding programs that provide real support to patients and caregivers in our community,” Memory Matters Founder LuAnn Lundquist said in a press release issued by the organization. Proceeds from the fundraiser go toward various programs, including information and referral services, support groups, care consultations, memory testing consultations, outreach and education events, educational resources, interfaith training programs, early stage memory loss classes, memory activity classes and the “Good Morning Sunshine” wellness calling program. “Through the community’s generous support of Daffodils by the Bunch, we will be able to continue to walk alongside those who are navigating the difficult path of Alzheimer’s disease and dementia and give encouragement and support to their caregivers,” Lundquist said. Preorders for daffodils run through February. Cut flowers will be delivered beginning March 11. For more information about Daffodils by the Bunch or to volunteer to help with daffodils sales, call Memory Matters at 435-319-0407. In addition to Daffodils by the Bunch, Memory Matters will be holding their first annual “Chili Cook Off” fundraiser on Feb. 9 from 1-3 p.m. on the lawns at Spilsbury Mortuary, located at 110 S. Bluff St. in Saint George. Members of the public are invited to either bring a crock pot with their favorite chili entry or just show up to enjoy the different recipes. There is a $50 donation fee for a chili entry or a $1 per bowl donation for those simply coming to enjoy the food. All financial donations will help Memory Matters. Call Memory Matters at 435-319-0407 to sign up.